Moving is a unique experience, no matter where you’re moving to. However, it’s fair to say that moving down the street and moving to a new state pose two very different scenarios to think through. There are many particular considerations when it comes to an interstate move, and it’s important to really dedicate time to organizing yourself before attempting to accomplish such a huge task. One thing is certain: an interstate move can be very difficult without some basic help and guidelines. In this article, we’ll go over some basic tips to help you handle the unique challenges associated with an interstate move so that you can be set up for success. Take measurements if you can. Think about particular logistics of moving furniture into the space. Make sure you have somewhere to load/unload belongings. Become familiar with the location, including nearby restaurants, grocery stores, and gas stations. Forward mail to new address in case changes don’t update right away. Inform your loved ones and important people in your life of your new address and phone number. Update your drivers’ license and other important documents so you don’t get penalized for inaccurate information. You should try to set up a veterinarian for your pet before moving so that their health care can be transferred seamlessly. This includes such tasks as: transferring any important documentation, updating medications and prescriptions, and licensing your pet with the appropriate authorities. If you have children, helping them transition to a new location can be difficult – especially if they are moving far away from family. Be sure to prepare them physically, emotionally, and mentally, as well as ensuring they have a pediatrician, dentist, etc. This is a challenge that can be unique to interstate moves, depending on how far the state is from your old location. You can have vehicles transported at a cost, when driving isn’t an option. Also, many car owners opt to sell before moving – it’s just easier and cheaper. Half the battle of any move is packing properly and in an organized, streamlined fashion. Taking pictures and labeling boxes can be especially helpful so that you’re not rummaging through boxes for a single item. Keep important documents and things you’ll need regularly easy to reach and handy. Look for a moving company you can trust that has an excellent reputation for interstate moves especially. Be sure to look into various companies well beforehand, as availability may be an issue. Furthermore, consider the timing of your move – many companies charge more for scheduling moves at the beginning or end of the month, over holidays, over weekends, and at certain times of the day. Be sure to do your research, and ask plenty of questions! 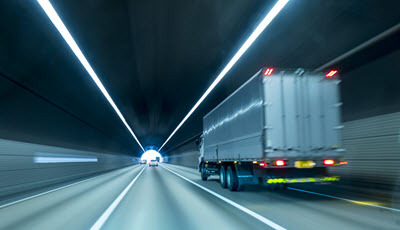 With all of this being said, interstate moves are tricky and unpredictable sometimes, no matter how much preparation we put into the process beforehand. Collaborating with professionals can help ease your mind, but at the end of the day, there may be a lot out of your control. Welcome the task, manage the stress, and breathe deeply. The interstate moving experts here at Watford Moving & Storage have performed countless successful interstate moves for the residents of Santa Clarita and other Los Angeles County areas. We know how challenging and stress-inducing interstate moves can be, which is why we make the process simple for our clients. For more moving tips or to learn more about our company’s expertise, please call one of our helpful associates today. We look forward to being a helpful part of your future!